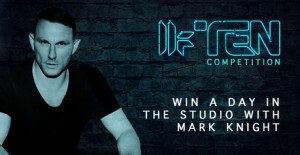 You are here: Home / competitions / Competition – Win a day in the studio with Mark Knight!! This week we have a truly amazing money-can’t-buy prize. One lucky budding producer will win a day in the studio with Toolroom label leader, Mark Knight! Mark has produced some of the most seminal club tracks of recent years, some of which Toolroom have included in their Anniversary Remixes campaign. Winning a day in the studio with him will be a great experience for any upcoming producers. What track is Mark most proud of producing? And email their answer to win@toolroomrecords.com with Studio in the subject line. Win tickets to see Pendulum!